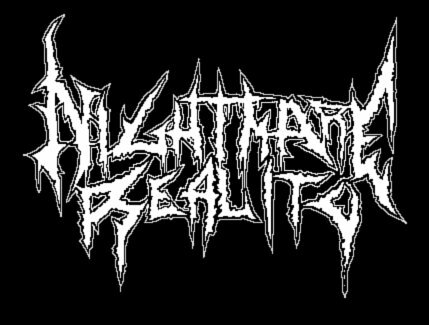 I’m sure most of our readers here at Nightmare Reality are somewhat familiar with the black/death metal act Black Witchery, but, what about the old-school death metal band Impurath and co. formed way back in 1991 who only recorded a couple of demos before changing the name to Witchery before moving on to become the entity now known as Black Witchery? In 2010, a compilation album featuring the two previously released demos, one unreleased demo and two live tracks was released. As I mentioned above; Irreverent was formed in 1991 when Impurath and co. were very young, probably still teenagers. It’s been said that they originally started off playing a lot of Hellhammer and Bathory covers, which definitely shows through on the songs here; which feature a weighty Hellhammer-ish tone and vibe. 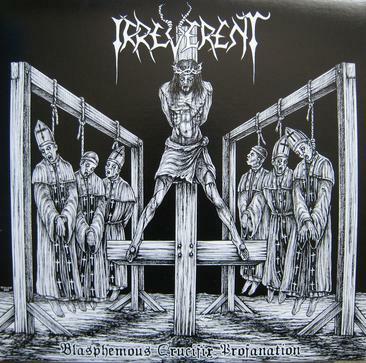 The Irreverent material differs greatly from what they would go on to write as Black Witchery… for starters; the music is often much slower, almost ritualistic at times, and as mentioned, has a massive Hellhammer vibe in the bass-heavy guitar tone. The production is surprisingly consistent between the demos, allowing the compilation to flow more like a full length album, which works well given the 40 minute run time. The songwriting is generally straightforward and primitive, with plenty of variety between songs, leaving this to be one of the best demo comps I’ve heard in a while. I’d put it up there with Slaughter Lord and Sadistic Intents’ compilation releases. “Blasphemous Crucifix Profanation” is a must-own for all fans of Black Witchery, old-school death metal and punishing Hellhammer worship. If I still haven’t convinced you that this is worth bagging, look up the songs “Crush the Messiah”, “Mortuary Feast”, “Ritual of Darkness” and “Holy Denunciation” to hear this long forgotten cult band speak for itself.